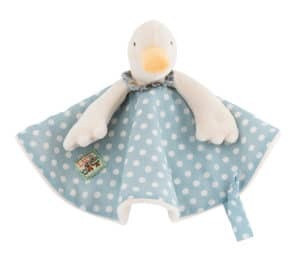 Moulin Roty have also re-styled Jeanne the duck comforter. 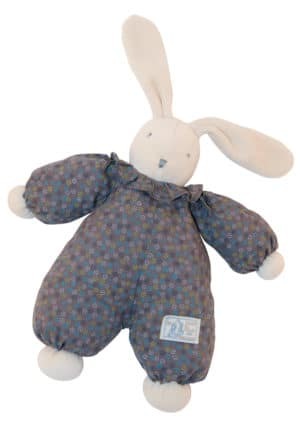 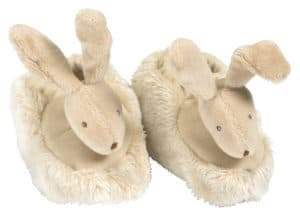 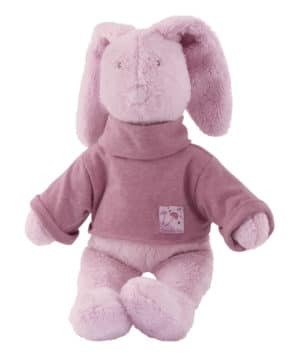 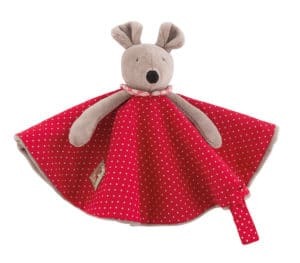 From the ever popular La Grande Famille range, Jeanne would make a lovely gift for a newborn or young child. Her head and arms are made of soft velour and the ‘blanket’ component is a blue with a white polka dot patterned, cotton dress, lined with an off-white velour. 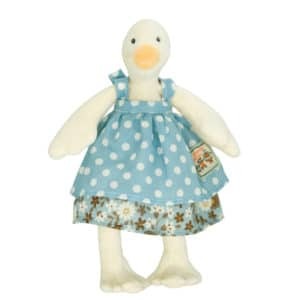 Her dress is completed with a floral patterned collar. 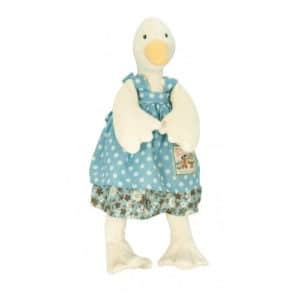 Please note that the Jeanne the duck comforter is not a doll – her head and arms are filled, however, this is the full extent of her body.